Detroit: Become Human isn’t exactly subtle in its allusions to racism and slavery. Everything from referencing Jim Crow laws to intense segregation is designed to remind players of the not-so-distant lives that black people had in America. That’s actually fine, as if there’s one thing to be blunt about in writing it’s probably that racism is bad because it’s one of the most abhorrent traits in society. The problem is that there’s not all that more that it has to say on the matter. The story revolves around three different androids, and the specific relationships they have with humans. First, there’s the detective robot Connor, who winds up having a sort of great buddy-cop repertoire with android hating Hank, a rough detective that loves donuts and has a tragic backstory like most sympathetic policemen tend to do. Then there’s the maid robot Kara, who cares for the young Alice and tries to protect her from her abusive father. Finally, there’s a lovely relationship between the helper android Markus and his elderly owner Carl, a famous painter whose health is failing. All three of these relationships are pretty much the lone highlight of Detroit. Each relationship (besides one that is unfortunately cut short rather early on) gets fully fleshed out, and I wound up caring about each character. For example, Hank’s predictable acceptance of his android partner was heartwarming to see. Unfortunately, the game is less about exploring the minutia of android life and is more about setting forth huge events that might lead to the freedom of androids. It gets caught up in this grand scale, and all of the interesting moments that happen early on are quickly thrown to the side. If you’ve played a Quantic Dream game before then you’ll know the drill here. The same awkward control scheme of using the right analog stick to perform actions is still present despite it also being used to control the camera. I quickly lost track of the amount of times that I went to do an action only to jerk the camera around accidentally. I’m not sure why the studio still thinks this is the best way for players to interact with the environment, but it was annoying in Heavy Rain and it’s borderline unacceptable to still be here in 2018. 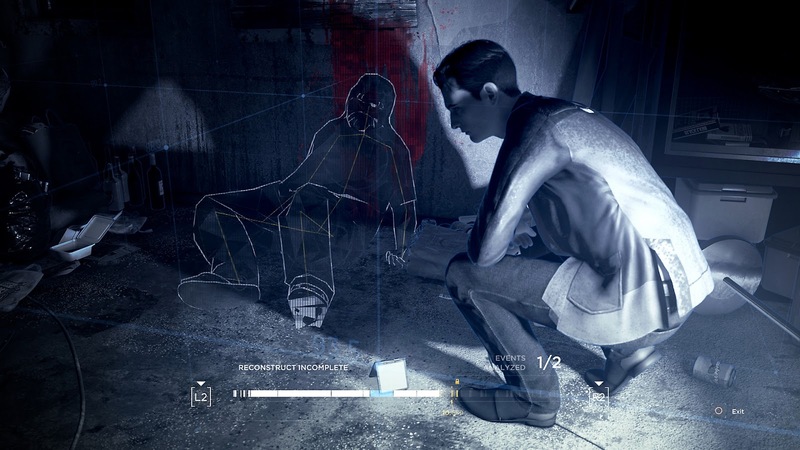 Some of the more police-style investigations that players do as Connor are interesting as they have to put together clues, but most of the scenes feel more like busywork than exploring an interesting environment. There’s also several quick-time events that occur during combat sequences that force the player to shake their controller, and the reading on these events is super spotty. They’re practically the only button prompts I failed to press, and it’s annoying to face in-game punishments when you didn’t actually mess up. Speaking of quick-time events, unless you’re terrible at them then you likely won’t come close to dying during Detroit: Become Human. A lot has been made about the branching narrative, and it’s true that main characters can die in some pretty intense ways. However, this only ever occurs if you fail at these button presses repeatedly or make the most numbskull decisions possible. I had to go out of my way to actually get characters to die, and there were even parts where I tried to kill off characters and they managed to survive. A branching narrative with huge changes is a great back of the box bullet point, but when it feels like so few players are going to experience the darkest ends then they start to feel a bit pointless. There’s also a strange disconnect to the story as it’s all about wondering if androids can have free thought and independent will. Can they feel emotion? And yet, every single action of the three main characters is handled by the player, an invisible guiding hand that is controlling their every move. Do they really have any control when it was me picking their every option? This issue actually could’ve been used to the game’s advantage if the characters gained some sort of real sentience and did what they wanted despite any choices that the player (which is essentially their artificial intelligence) made. That never happens, though, and players are left to wonder if they actually can think for themselves. 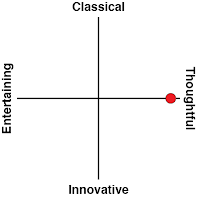 Maybe it was meant to be this way, but it just seems to undercut its themes rather than embrace them. 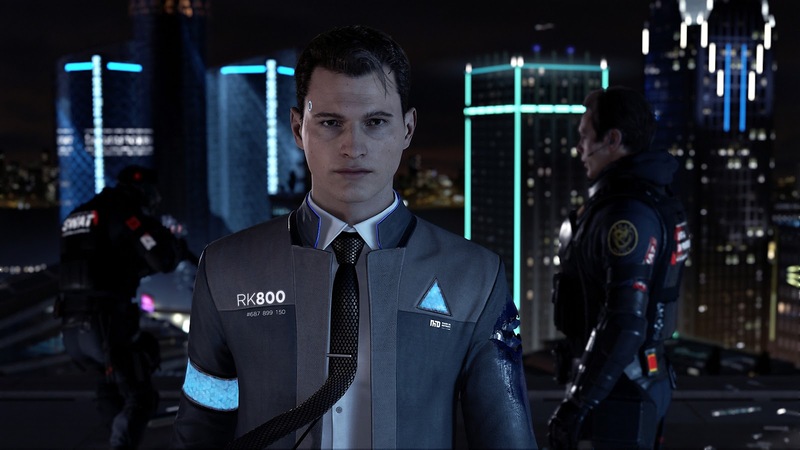 The biggest issue is how Detroit: Become Human handles the idea of oppression. Specifically, that it fully embraces an idea that sweeping change can occur simply through two sides coming together for common ground. It’s a lovely sense of optimism, but it’s presented in a dangerous manner. It insinuates that everything is possible if the oppressed choose the right words and way to explain their differences. This is incredibly flawed as it shouldn’t be on the oppressed to explain to their abusers that they’re in the wrong, and it just flat out doesn’t work that way. The Civil War didn’t occur because black slaves failed to explain themselves in a non-violent manner, it happened since it was the only way to end slavery. Violence, as tragic as it always is, has been proven to be a necessary part for change out of oppression. Of course, players can also go down a more violent route. 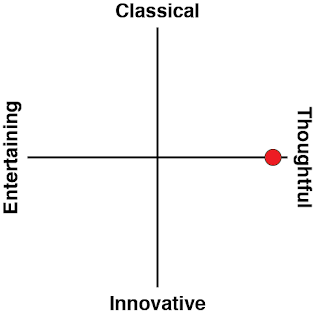 I did this in subsequent playthroughs, and it definitely wound up feeling more cohesive, but I can’t say I ever felt more invested in what was taking place. 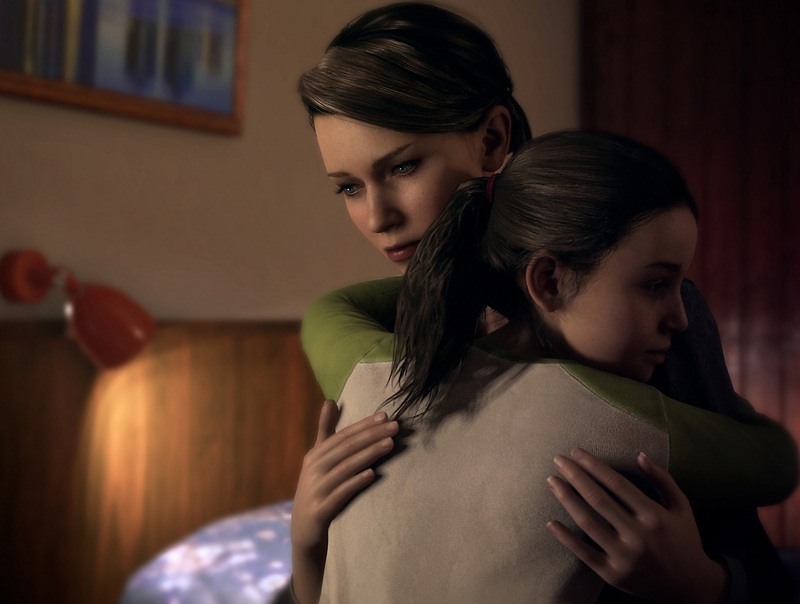 Maybe the initial ending ruined things for me, as it’ll always be “my” playthrough, but having seen most of Detroit’s paths over the past days have just left me disappointed by how much promise is thrown out the window. The game had an opportunity to take a real stand against oppression, and instead it stands meekly behind player choice in order to say little about nothing during a time in real life filled with clashing ideologies and constant injustices. There’s also a laughably bad attempt at metacommentary on video games as a whole. While games like NieR: Automata and A Way Out have acknowledged the fact that players are part of the experience in a way that enhanced their overall message, Detroit has an android ask the player questions whenever they boot up the main menu screen. That means it’s completely missable if you finish the 14-hour or so game in a single sitting. The only reason I even interacted with the main menu after the initial boot up was because the game crashed a handful of times while I played, and it all leads to a terrible moment post-credits where the main menu android is inspired by your playthrough and asks the player if they can leave. I couldn’t believe how on the nose the whole thing was, and the fact that it basically asked me if I was going to keep a character, that I only interacted with because of the game crashing in the first place, a slave. No, I’ll let you live your life and it’s not a hard question to answer. Even if you can overlook the troublesome philosophies that permeate Detroit, you still won’t find much interesting here. The story loses a lot of its charm once it goes from dealing with day-to-day android life to trying to tell a huge event that will change the shape of civilization. It falls into a common trap of video game writing, as it forces the player into life or death situations constantly. These mostly fall flat and players are left with a game that really doesn’t have much to say that wasn’t already incredibly obvious from the start. Racism and slavery is bad, folks. 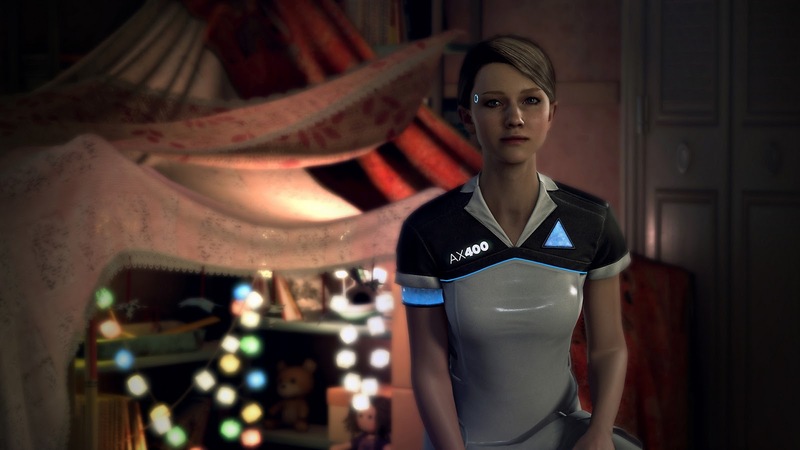 You can probably figure that out without playing Detroit, and if you can’t then David Cage’s writing isn’t going to change your backwards thinking in any way.